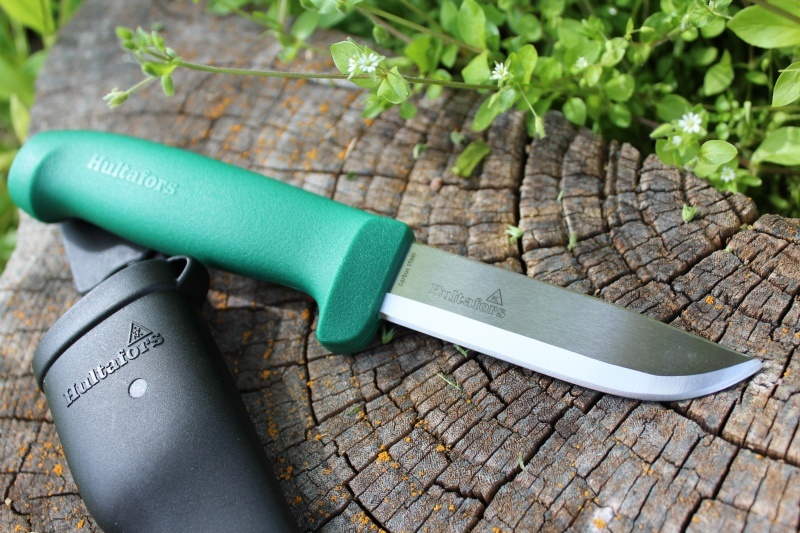 Another Swedish company with a strong and long tradition of making high quality, budget priced knives. 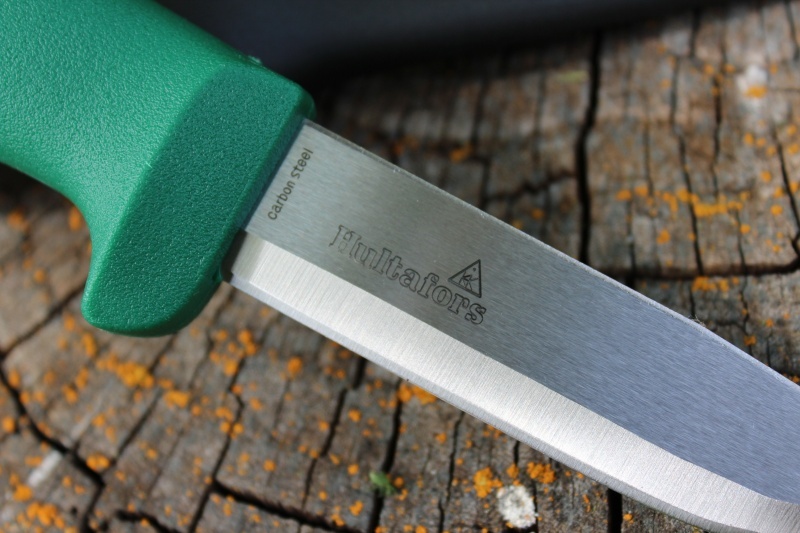 Hultafors Heavy duty knife is a solid, quality tool. The 3MM thick high carbon, Japanese,double beveled steel blade is to 58-60HRC, thermoplastic handle and PP extra strong plastic sheath. 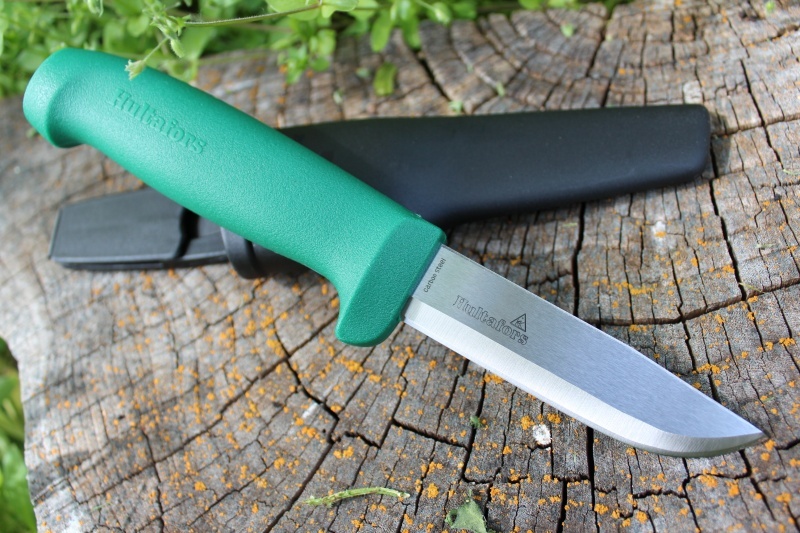 Outstanding quality for the money, this knife will give you a sharp edge for a long time. EXTRA INFO..Spoke to an engineer at Hultafors yesterday and he said the knife tang on the Heavy duty knife runs 3/4 the way into the handle. Also he said they had done tests that suggested the secondary bevelled blade held its edge better than a single bevel when used in a variety of tasks that the knife was designed for. 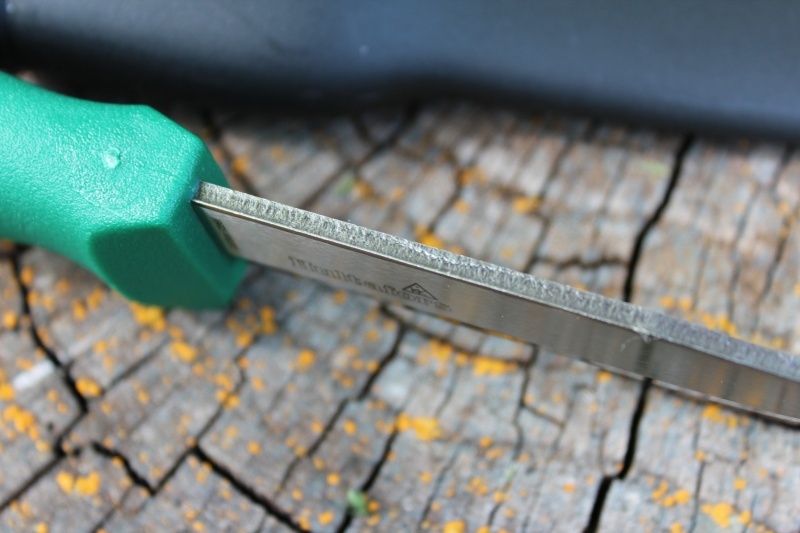 Blade length is 3 3/4", overall length is 8 3/4". Purchase through PayPal by using the "Add To Cart" button above or use the form below to order the Hultafors GK . Feel free to contact us if you have any questions about the Hultafors GK .